Got time on weekends? I found this frugal but enjoyable way of spending summer weekends with your kids! If you're a customer of Bank of America, just present your ATM, credit card or debit card and you will get free admission on participating museum! Pretty amazing! Check out their website for more information here. 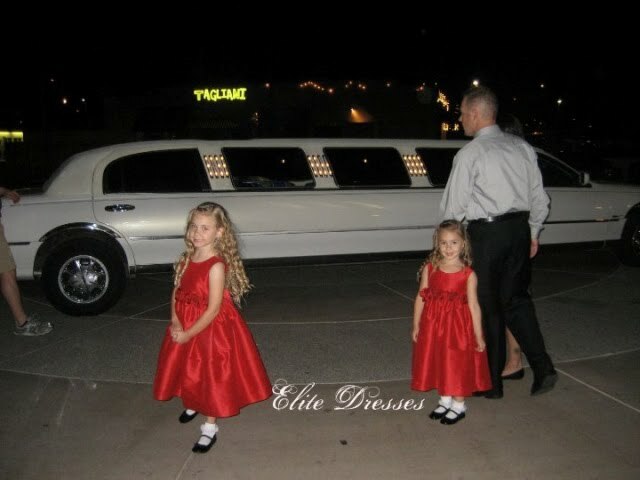 We are so honored to have pretty little girls as our clients :) They are so adorable! 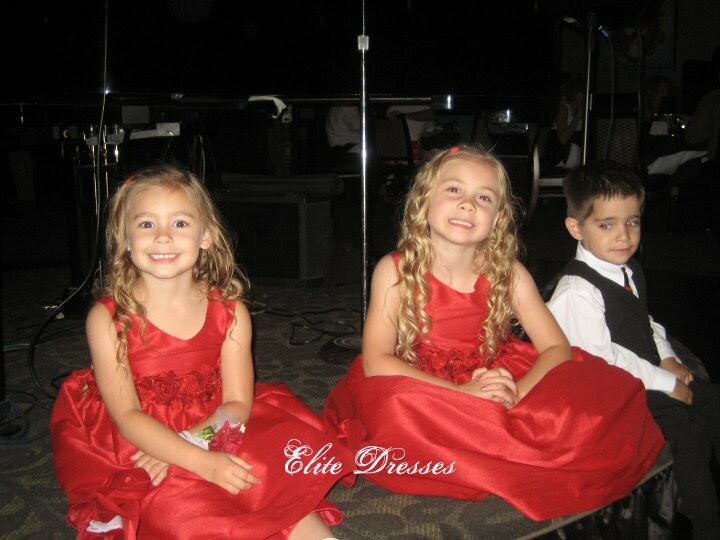 The red girls party dress that the adorable girls wore is Girl's Red Poly Dupioni Flower girl Dress which you can get here. 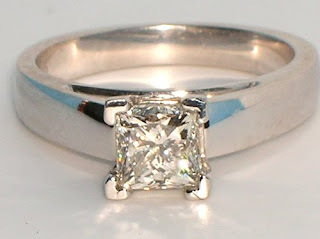 Usually men undergo the tedious task of buying the perfect engagement ring alone. But what do men know about diamonds when the ladies are the diamond's best friend? So guys don't panic. When buying a diamond ring, you must understand that two diamonds might look a like but in fact are different in quality. To be able to understand these differences, know the four C's - color, clarity, cut and carat weight. Color and Clarity tells what nature has done to the stones. Cut and Carat weight tells what men did to the stones. Let's break it down to make it simple, shall we? Clarity is the first thing to look for when buying a diamond, this is when the trained buyers ask for magnification on the diamond. The clarity is determined by the presence or absence of flaws (that are usually invisible to the naked eye) known as inclusions. These inclusions can only be viewed and checked through powerful magnification. The fewer or smaller the inclusions, the higher is the quality and thus the price of the diamond. Although inclusions do not generally affect the beauty of the diamond because it's not visible to the naked eye. Of all the variables in determining the quality and price of the diamond, the cut is the most crucial. Most people confuse cut with shape of the diamond. Diamond are actually cut into a number of shapes (depending on the nature of the rough stone)-- the most popular of which are round, oval, pearl, heart, princess, marquise, etc. Each diamond gets the brilliancy and scintillation by cutting and polishing the diamond facets to allow the maximum amount of light that enters throught it and reflected back through its top. A diamond's weight is measured through carats. One carat is divided into 100 points which is 200 milligrams of actual weight. So a diamond of 75 points, for example weighs .75 carats. Isn't it nice to look at your two princesses wearing the same dress? 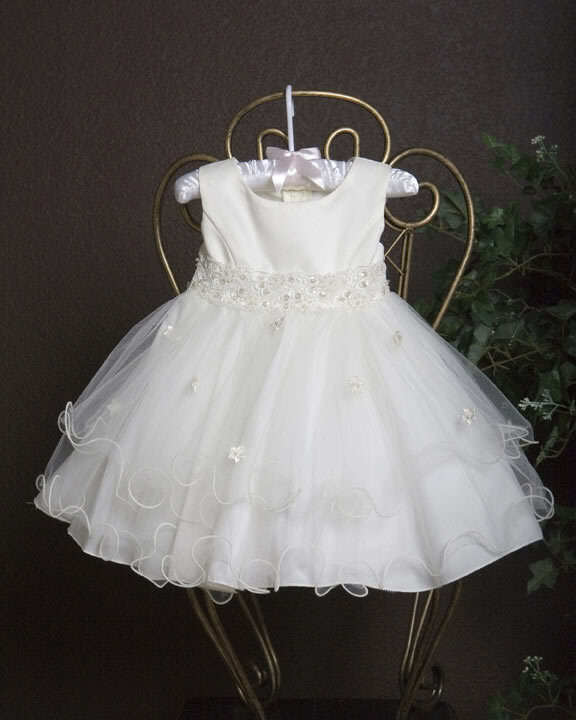 I have several dresses that are available on both baby sizes and girls' sizes. 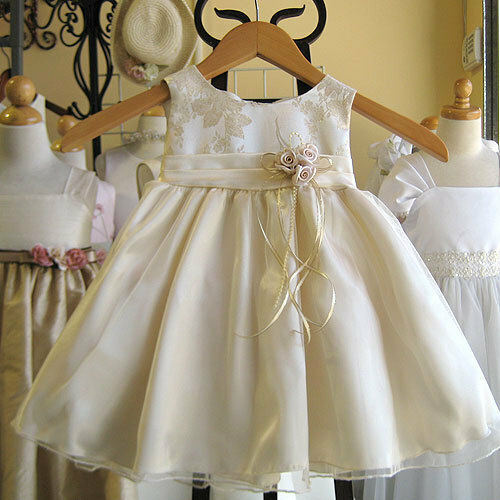 There would be slight difference on the fabric for some of the baby sized dresses to be more delicate for the baby's skin. I make sure that the dresses won't cause red and itchy spots on your baby's fine skin. There's an unusual buzz about Lilacs and Purples and colors of the same shades lately. So I added an Ivory and Lilac Flower girl Dress. It's made of dupioni silk that's very comfortable for the children to wear. 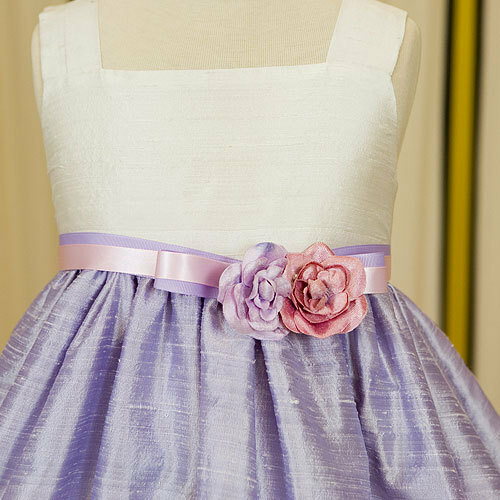 It's accented with a two tone ribbon on the waist and finished with a matching velvety rose. I am sure that your daughter will be the star of the ball when she wear this. Attending a tea party with your little angel? Tea parties are usually held during summer, and so attending one with your daughter would mean finding a nice comfortable tea party dress for her. While warm-weather months call for super comfy clothes, this doesn’t mean you have to outfit her in very casual clothing. Remember, she has to look as fabulous as her mom! 1. Look for light and bright girls party dresses that are elegant yet affordable. 2. Dresses with lace and frills would be nice, but are not a must for little girls. A perfect choice would be a comfy girls party dress that’s comfy, appropriate and affordable. 3. If you want to consider matching outfits for fun, go for solid color dresses. 4. Bring an extra change of clothes (she might just need them :-). 5. Use accessories like jewels and pearls to complement your outfits. Wear similar hats, scarves, gloves, and feather boas as accents. 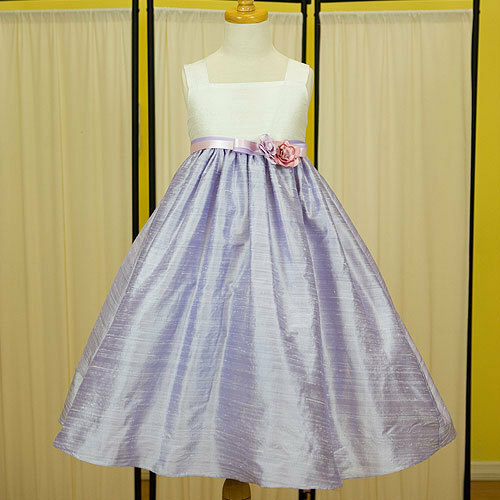 A darling pink and brown special occasion dress for your little girl. She'll look great for parties and school with this square neckline with straps, empire cut with sash, pink with brown polka dots skirt, with brown ruffled hem. 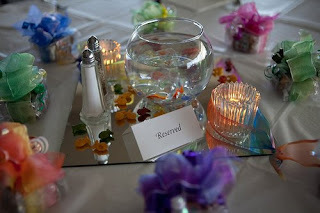 Rehearsal dinner is usually done after the last wedding rehearsal and just before the wedding day itself. This is the couple's way of saying thank you to the people who worked hard in planning and preparing the wedding. The old tradition was, the groom's parents are the ones to pay for it. However, more and more couple are paying for everything when it comes to their wedding. Rehearsal dinner guests include the whole entourage, out of town guests and close family of both the groom and the bride. It's their time to know and mingle with each other. Also, the family and friends "roast" the bride and the groom for fun. And lastly, the couple gives their thank you gifts to their beloved guests. 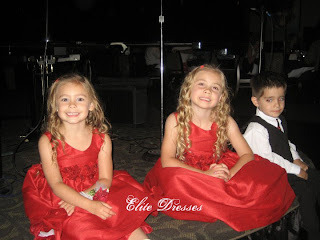 You might be invited to one and of course your darling daughter's the flower girl! 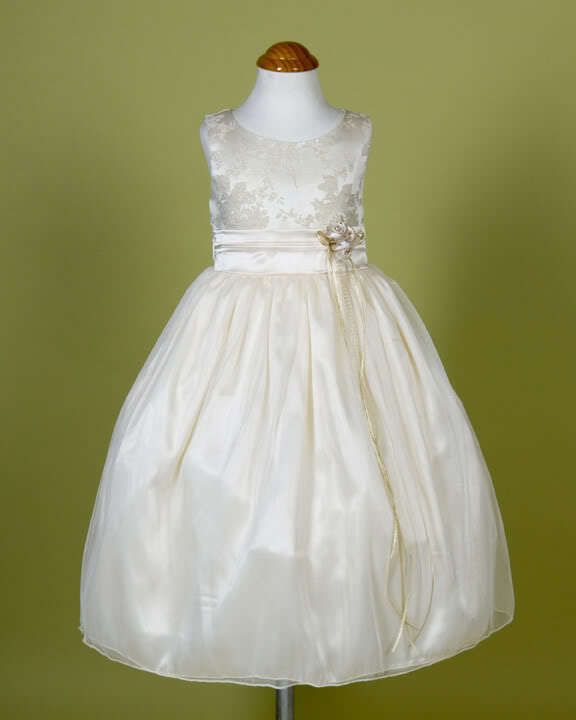 Dress her up with one of our girls' party dresses and make a lasting impression. Don't you think it'll be a good idea to have different colors on your flower girl dresses? Because most of the time, wedding theme colors are two or three colors. Why not put all theme colors as the flower girl dresses? 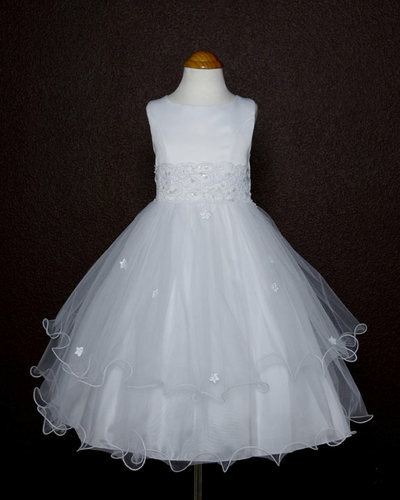 The Flower girl dresses must be of the same style but of different colors. That would be so pretty! The most important part of wedding preparation is that you enjoyed it and you made things as the way you want it to be. Your wedding day is one of your life's milestones so might as well make it special.